Following weeks of charges that the Consumer Financial Protection Bureau (CFPB) is shifting its mission away from aggressively protecting consumers' financial interests, its new director says it's true. Sort of. Appearing on CBS' Face the Nation Sunday, CFPB acting director Mick Mulvaney said his agency, established under the Dodd Frank financial reform legislation, would seek to enforce the law and nothing more. Mulvaney charged that the agency under the Obama Administration did "push the envelope," also calling it the federal government's most unaccountable agency. “We want to run that place with a good deal of humility and prudence,” he said. The CFPB was established over Republican opposition to protect consumers from abusive financial practices. Since its establishment, it has taken action against credit card, auto loan, student loan, and payday lenders. Mulvaney's public comments on the mission of the CFPB came just ahead of an NPR investigative report quoting anonymous sources inside the agency as saying the director is making "radical" changes to the CFPB. 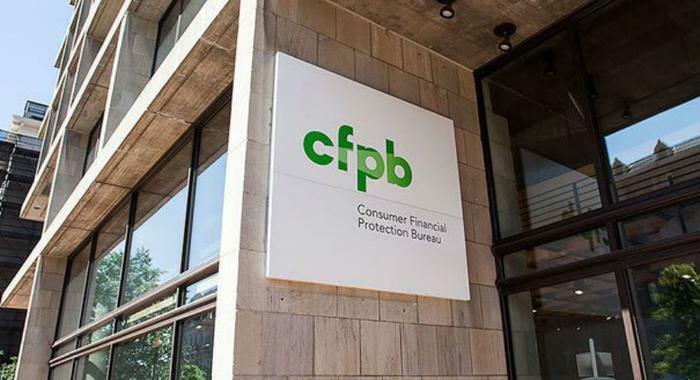 The public radio network said it obtained an internal CFPB memo saying the agency will outline a new strategic plan that will require it to "fulfill its statutory responsibilities but go no further." It also said CFPB should be "acting with humility and moderation," words Mulvaney used in the CBS interview. NPR also quotes unnamed staffers, who spoke anonymously for fear of losing their jobs, as saying CFPB has decided to drop a lawsuit against Golden Valley Lending, an online lender. The suit alleged that Golden Valley charged borrowers up to 950 percent interest. Consumer advocates, who have championed the CFPB since its founding, have been highly critical of the agency under Mulvaney's leadership. "The CFPB is now being led by someone who tried to eliminate the agency when he was in Congress, as OMB Director authored a budget calling for the defunding of the agency, and in his presumed role as director said 'other agencies can do this job well if not more effectively,'” Melissa Stegman, senior policy counsel at the Center for Responsible Lending, told us last month. Also in January, the progressive blog Think Progress pointed to a not-so-subtle change to the agency's mission statement at the end of every press release, which said CFPB would now "identify and address outdated and burdensome regulations." Last week, Reuters reported that the CFPB is backing away from a full-scale investigation of last year's massive Equifax data breach. In that hack, the credit files of more than 145 million consumers were compromised.